To read in Urdu, scroll down. Last night, I was about to sleep when I received a call from home with a tragic news that aunt Gul had died. She had fever and flu for the past few days, but her condition wasn’t so bad. When she last went to bed nobody knew she would never wake up again. The real name of aunt Gul was Hameeda Begum. She had eight siblings including my dad who was a couple of years younger than her. The two were very close and had a lot of affection for each other. Like her other siblings, she too was born in Quetta where she spent most of her life as a primary school teacher and headmistress. She used to live with her husband in a one-room rented house in front of Ambala Bakery. She worked hard all her life and saved every penny she could for a better future. She gave forty years of her life to this low-paid government job. After retirement, she wanted to have her own house in Layyah so that she could live closer to her brother. The two siblings bought two adjacent plots in TDA Colony, which used to be only sand dunes back then. Aunt’s house was built before ours and was declared as Gul House using a marble nameplate. Our plot was still empty, but to connect the two houses in the future, a door was added to the rear wall of Gul House. Many years later, when our house was completed, we would cross this door numerous time a day and spend half of the day at her place. Her courtyard was much bigger than ours. I drew stumps on a wall using a coal and used to practice cricket bowling for hours. The same courtyard witnessed the wedding ceremonies of my three siblings. It was here I saw, for the first time, my dad dance. He wore a Pakhtoon hat and a wool shawl that day. I was feeling a bit embarrassed in front of guests but both he and his sister kept going round and round in circles in an act which he would call Balochi Dance. During cold winter nights, aunt Gul and dad used to sit next to a fireplace and talk for hours. They communicated in the Urdu language because that’s what the spoke at home in Quetta. On the other hand, we spoke Saraiki at home, a language dad learnt to speak after he had come to Layyah in his youth but aunt Gul couldn’t. They both also knew Pashto. If there was a secretive matter they would discuss it in Pashto. My mom’s reaction used to be priceless on such occasions. Whenever dad had a fight with mom he would stop eating at home and instead go to his sister’s place and eat there. Sometimes, for many days. In the end, mom had to reconcile with him because we would run out of groceries at home. Aunt Gul didn’t have any children and considered us as her own. When I was a kid, she used to send me a 50 Rupees money order by post from Quetta every month. Sometimes, she would also get angry with us and use some harsh language. After dad died, our family used to have some serious fights with aunt Gul so it was decided to close the door between our houses and a brick wall was constructed in front of it. Later, our relations improved somewhat but the door was never opened again. Our family would talk to aunt Gul from behind or above the wall. After my mom’s death, our relationship with her was reduced to nominal. When I was studying in Germany, aunt Gul somehow managed to obtain my phone number. Whenever she had a petty issue with my family, she would grab her phone and straight away dial my number. She would talk for an hour to complain and describe every little detail of what had happened. She wouldn’t give me an opportunity to say a single word. I was only there to listen. This went for a while and I became so frustrated that I stopped taking her phone calls. Now that her voice has become silent forever, I am filled with remorse. Two and half years ago, when I reached Layyah after finishing my Germany to Pakistan trip, I met Aunt Gul for the last time. She was no longer able to walk. I recalled the time when she used to accompany dad for a long evening walk on the by-pass road. She asked me how long I planned to continue cycling and advised that I should stop travelling and get married. Age had no effect on aunt’s Gul memory. She remembered everything between her childhood and present as if those events had taken place yesterday. Unfortunately, they were only painful memories. 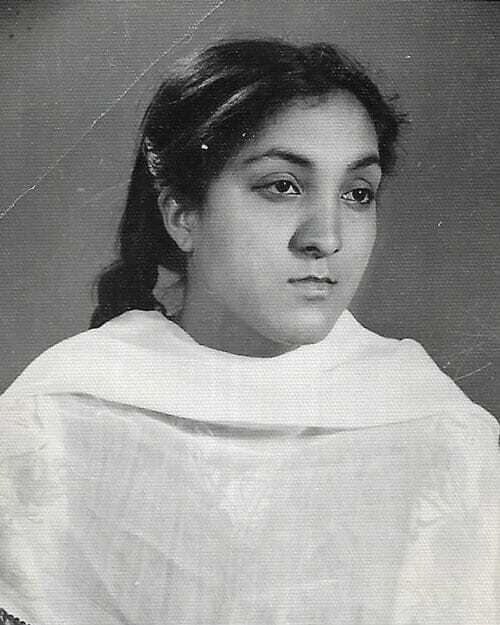 I spent a part of my childhood with her in Quetta. Sometimes, she would share with me bitter stories of her past which I would keenly listen to. She used to tell me that she was writing an autobiography. Whenever I met her during the past ten or fifteen years, I would ask her about the status of her book. She would reply that it was far from over and that she was still writing. Until then, she had written about her life before marriage, for example, she wrote in great detail about what caused her to get married so late that she was no longer able to bear a child. The stories from after marriage were yet to be written. She could never forget what others did to her. Maybe, the writing was a therapy for her. It was heartbreaking to hear this about a woman who had already spent all her life in emotional pain. The very same people who are not even bothered to attend her funeral today were the ones she used to host in her house with great hospitality until yesterday. She got betrayed not only in her life but also after death. Aunt Gul often used to talk about the wounds given to her by her own people, but this final wound is going to be the most painful chapter of her incomplete book. No pen will have the ink to describe this tragedy and no man will have the strength or skill to write this last chapter. Not even aunt Gul herself! If you have trouble reading the Urdu version below, scroll further down. میرےگھروالوں نے بتایا کہ پھُپھو گلُ کے شوہر انکل اقبال جو کہ اب چلنے پھِرنے سے معذور ہو چُکے ہیں کل خاموشی سے گھر کے کونے میں رو رہے تھے، میرا بڑابھائی اور اُسکی فیملی پھُپھو اورانکل کا خیال رکھتے تھے، پھُپھو کے آٹھ میں سے اب صِرف تین بہن بھائی زندہ ہیں، میرے بھائی نے اُنھیں فون پر فوتگی کی اطلاع دی مگر دو نے تو جنازے میں آنے سے صاف معذرت کرلی جب کہ اُنکا ایک چھوٹا بھائی جو لیہ میں ہی رہتا ہےآج کل اُس نے کہا کہ جب جنازہ ریڈی ہو جائےگا تب آوٗں گا! خُدا اُن کی مغفرت فرمائے! This character is in the lives of almost everyone. People like aunt Gul never die. They live in our precious memories. May they always rest in peace. Very touching and beautifully penned story of aunt Gul. Innalilahewainnailaherajeoon. Aunt Gul like characters are very common in many families. Reminded me some one in my own family and her Rs 50 money orders when I was away in University without a fail. Such hatred, that it won’t even be melted with the news of death. Sorry to hear that but reality of life is to go back where we came from. Allah bless her soul. She lives on in your heart and that is a fitting legacy. Kamran Bahi Allaha Kareem App ki Phopho Aur Aur App k Walid Sahab ko Jannat mai Jaga dey. Amin. na janey keoun app k walid shab ka ziker atey he ankhien pani andelieny lagti hein.